Washington, D.C. is best known for being the nation’s capital and home to the president of the United States. Although this is where you will find the White House, there is much more to the District than just politics. If you can overcome the traffic and the expenses required to live in the area, then Washington, D.C. is truly a great place to live. The District holds much of the nation’s history, from museums to monuments and everything in-between. Washington, D.C. is more than just a place for history lovers. It is home to students, families, business professionals, and more. There’s something for everyone to enjoy. This is one of the many reasons why there are numerous longtime residents in the area. 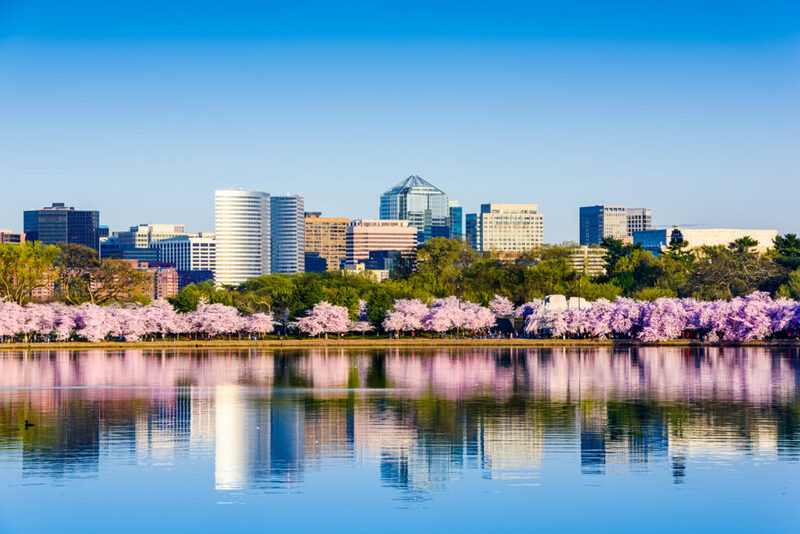 If you love everything that Washington, D.C. has to offer, you may want to make it your forever home, but moving can be quite the challenge. Using a professional car shipping company helps eliminate some of the stress of a move, so you have a more enjoyable transition. This is the most popular method of transporting a vehicle from one location to another. It also happens to be the cheapest method. The car is loaded and shipped on an open carrier. These carriers are capable of transporting a large number of cars at one time. It is important to keep in mind that these carriers do not block out all weather and road elements, so your car will be exposed. Learn more about Open Auto Transport. By choosing this method of transport, your car will be loaded and shipped on a fully enclosed carrier. The car will be protected from all weather and road elements. This includes dust, dirt, and debris, as well as rain, snow, and ice. Due to the level of protection this transport method provides, it is more costly. Learn more about Enclosed Auto Transport. This service provides convenience, as you don’t even have to leave your home. The driver will come directly to your home or place of business, making it easy on you. Learn more about Door To Door Vehicle Delivery. If you need your car shipped to you as soon as possible, our guaranteed shipping option is the best solution. This allows you to select a more specific time window, narrowing down when pickup and delivery occurs. Contact one of our auto transport representatives for more information. While this may be the Nation’s Capital, there is much more to D.C. than politicians and lawmakers. For instance, many people do not know that D.C. has some of the nation’s most gorgeous parks. Here are a few more things that you might want to know about the area that you might soon call home. As you can imagine, D.C. is not cheap. Be prepared to pay significantly more for rent or a mortgage. The job market is also a little bit more competitive. There is about a one percent higher unemployment rate than the national average, but the job growth is almost double the national average. The annual household income is also much higher. Many people choose to make the outlying suburbs their home instead of the city. However, this not only creates long commute times, but very long days. Some people have to commute upwards of two hours one way to get to work. This means that by the time you are done with your total commute to and from work, you have already eaten up more than half of your 24-hour day. For those who decide to remain in the city, Washington D.C. offers a phenomenal public transport system. You can still drive to work, but it will take about 30-45 minutes depending on where you need to go. The public transit system will not only cut down on commute time, but it also helps save you gas money. Many people, who take public transit, also choose to use this time to get a head start on their work day. Having a car in D.C. is still beneficial for errands, weekend trips, and more. We have all seen the crime shows that are set in D.C. and honestly, while exaggerated, they may not be too far off. The south east side of the city tends to have a higher amount of crime. However, this can be avoided by being hyper-vigilant or by staying in the safer parts of town like Bellevue, Spring Valley, Crestwood, Manor Park, and Colonial Village. While the cost of living is higher and crime might scare people, overall D.C. is ranked number four on the best places to live list. This is in part due to the cultural activities that are readily available. There are numerous museums, theaters, and markets to visit. Foodies will have an endless range of food to try at hip restaurants and bars. Sports fanatics will get their fix with the great football, basketball, hockey, and baseball teams that their fellow residents cheer on. As mentioned before, there are plenty of parks and outdoor spaces to visit that offer everything from camping, hiking, and, boating to picnicking and wine-tasting. National Dispatch is a leading provider of auto transport services. We ship cars anywhere in the country for an extensive customer base. Our customers utilize our car shipping services for more than just residential moves. Auto transport is very beneficial when going on an extended vacation, purchasing a car out of state, and more. If you are in need of our car shipping services, request a free, instant car shipping quote using our online quote form. No personal information is needed. If you prefer to speak with an auto transport representative, call us at 800-321-2051. No matter how you look at it, a move can be difficult. You have found the perfect company to transport your car, but you must also decide how you will be getting your household goods to your home. In addition, being in a new city presents its own challenges. You must find a new mechanic, car wash, and more. Here are a list of our recommendations for the Washington, D.C. area.